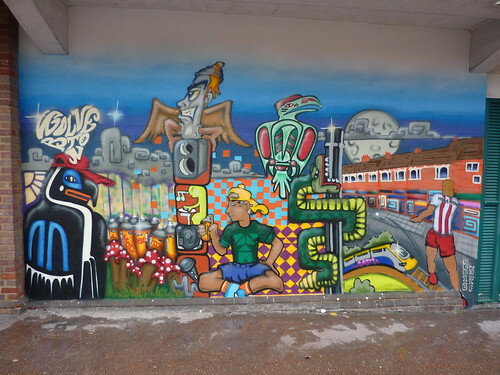 Wolverton based MKCF asked Arkade Graphics to refresh and update the mural on the side of their building. The previous mural was painted in 1976 by the late great Bill Billing and featured aspects of native american art, however the surface on which the mural was painted had started to leave the wall and a total refurbishment was on the cards. 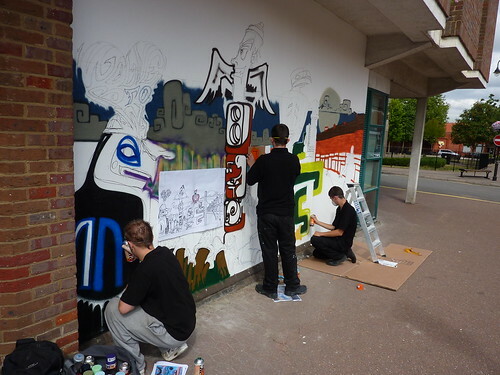 Together with a team of young people who were attending courses at the centre the new mural was planned and executed in 3 days .The finished mural contained aspects from the previous murals native american theme plus an image of Wolverton. 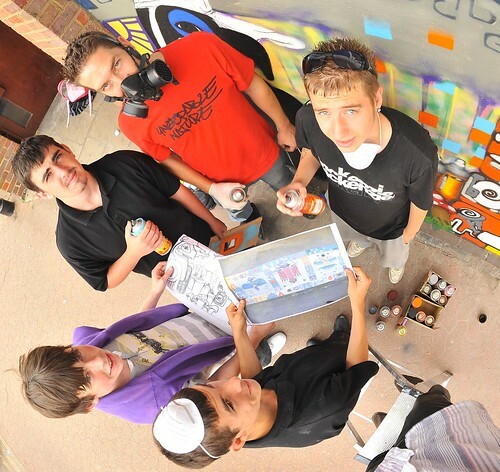 This entry was posted in Workshops and tagged art workshop, Graffiti, Milton Keynes Christian Foundation, MKCF, Mural, native american art, painting, Wolverton mural. Bookmark the permalink.